Premiering today, searing alternative-rock duo Dark Fair are bringing some ferocity to the airwaves with new single ‘Off Into My Head’ – a tightly wound offering that sees the group exploring the insides of the mind and taking refuge amongst its reality obscuring sanctuary. 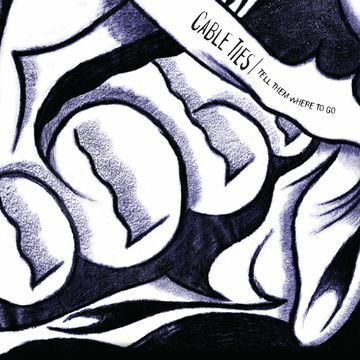 Post-punk battlers Cable Ties come roaring back with the first taste of an exclusive 7” single, inspired by their volunteer work at Girls Rock! camps.